We launch a new website for Varberg’s BolS fans! Not only Varberg BoIS picked points on the south stadium on Sunday, now even supporters of heel kick cheer for a new website signed Joomlaproffs. The page is designed for a compound of single-member registration via facebook integration, and payment by credit card or bank transfer. We have made it easy for writers to administer articles directly from the frontend. You can also book trips to matches via the advanced form. 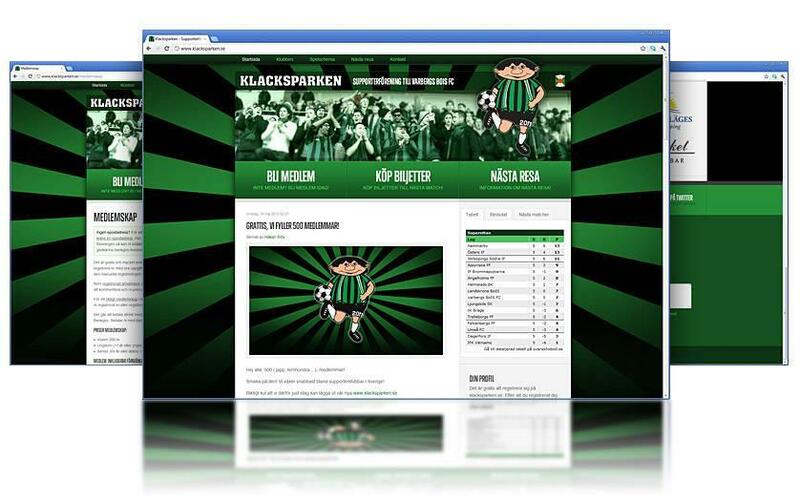 Visit www.klacksparken.se and check out the page and if you like Varberg BoIS so it is a good time to join supporters' club. If you like the page and have their own association that is in need of a new website so Contact Us.